Richard Morris started his career on British Rail in 1970 with the unlikely background of a degree in Classics. It helped that he had ‘iron in the blood’; his family connections with the railways went back three generations. 42 years on he has held down some of the most demanding senior jobs at British Rail and Eurotunnel and taken responsibility for everything from dealing with major accidents to the personal travel arrangements of the Royal Family. Along the way he has made many friends and encountered a variety of remarkable personalities, from Her Majesty the Queen to one of the Kray twins. 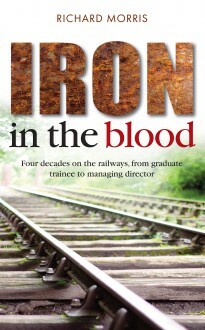 Iron in the Blood is the story of his career.